Mrs. Biggs is a human resources professional with more than three decades of experience. Her work has been commended in various settings, such as her work in 2000 garnering praise by former Governor Jim Gilmore in assisting in the development of a comprehensive compensation plan. As a testament to her skills, the plan is still used today. She worked in human resources at Norfolk State University for 27 years, and joined Claflin University in her current position to streamline and improve the department. She successfully negotiated a pay scale system for employee’s salaries to par with industry standards. In addition, she established competitive benefits and established overtime compensation for non-salaried workers. After earning a bachelor’s in business administration, Mrs. Biggs obtain a master’s degree in urban affairs with a concentration in human resources. In addition, she became an ordained minister in 2007. This chosen path has lead to accomplishments she is most proud of, having made numerous positive changes to benefit many people. In her line of work, she endeavors to treat everyone fairly and do the right thing. Her work has been distinguished with the 2012 Woman of the Year award from the National Association of Professional Women, and from Claflin University with an Exemplary Administrative Employee in the same year. 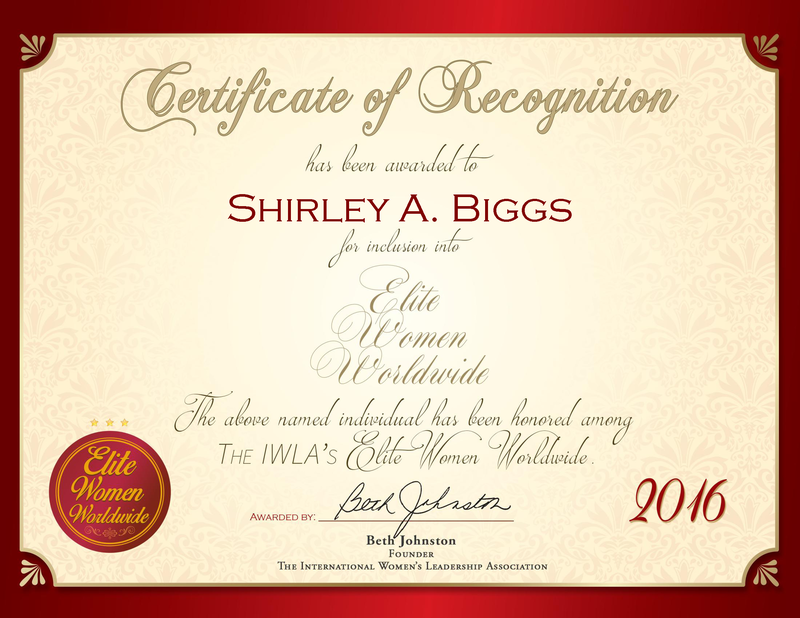 She also received recognition with an Evangelism Serving Award and an Outstanding Woman of Leadership award at her church. When not working, Mrs. Biggs participates in prison ministries, homeless organizations and events related to Evangelism.